Brakes are an imperative part of your car, keeping you, your family, and other drivers safe, so it's important to keep your brakes operating effectively. Schedule your next brake service with Paramus Hyundai. The best way to prepare for keeping your car on the road is to keep up on regular maintenance. Did you know that if you fail to replace your brake pads at the right time, you are not only looking at replacing the pads, but also the brake rotors, and in extreme cases the calipers as well? All of this can get very costly. One of the biggest reasons to keep up on regular brake maintenance is to keep everyone safe. Brakes are one of the parts of the car that you do not want to wait for them to fail to find out there is a problem. Whether you are low on fluid, your pads are low, or your master cylinder has a problem, waiting until there is an actual problem can lead to devastating results. When you fail to maintain your brakes, and something fails, not only do you have more expensive repairs to the brakes, but also risk collision damage to your vehicle. The other side of these issues is the legal fees associated with the tickets and associated lawsuits. 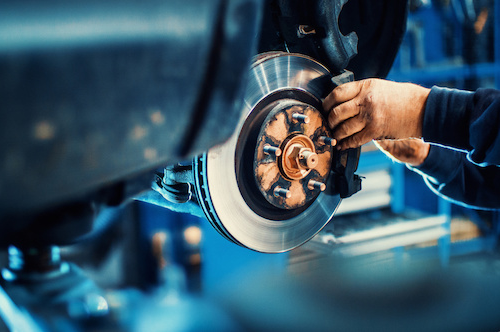 When you visit Paramus Hyundai, you can rest assured your brakes are being cared for by certified automotive technicians. These technicians have not only received the appropriate training, but have the experience of performing repairs on all makes and models of cars each and every day.